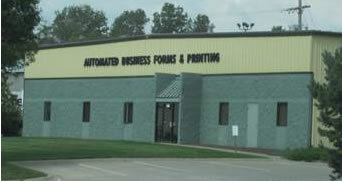 Based in Omaha, Nebraska, Automated Printing is your printing solutions provider and large format printer of choice. Whether you are looking for brochures, business cards, digital printing, laser checks, invoices, business forms, postcards, flyers, folders, booklets, posters, letterhead, stickers or door hangers, we will provide you with great quality and competitive pricing. Automated Printing is directed toward your satisfaction. We've built our reputation and repeat sales on the idea that our success is directly related to how well we produce for you. We don't take shortcuts to quality. Let Automated Printing be the only source you'll ever need for all your Direct Thermal and Thermal roll papers. We've been a major supplier of roll paper since 1977.